Image: JGI/Jamie Grill/Getty Images. Design: Ashley Britton/SheKnows. I’m not a mother yet, but as a nearly 30 non-mom, I’m at the age when my social media feed is a steady stream of baby announcements, gender reveals and growing family photos. I’m often asked questions about my own family plans. “Are you guys thinking about kids yet?” And Google certainly seems to think I’m ready for strollers and bibs, probing me with ads for all kinds of parenting products. There’s so much to learn about becoming a parent, and as we all know, there isn’t a manual for how to pull it off. I’ve discovered, though, that there’s one major unexpected perk to waiting a while to have kids: As more and more of my women friends become moms, I’ve collected a few major maternity lessons. I’ve gained a ton of knowledge that could never be acquired from reading a book simply by observing the mothers around me. Here's what I've learned so far — from other people's parents. As an outsider, it seems that the minute you become a parent, everyone wants to give you advice. Onlookers are quick to supply an opinion about nap routines, appropriate amounts of screen time and organic snacks, among other things. It really irks me when I see mothers receive this unsolicited guidance. Whether the recommendation comes from a grocery store bystander or a close family member, I’ve learned that it’s OK if that uninvited feedback is taken into account but then later ignored. The parent knows what is best for their child. While advice typically stems from good intention, there is no need to follow everyone else’s playbook when it comes to raising your kid. A mother must handle an endless number of their child’s needs before her own. I see how self-care can easily become a low priority. But after a while, moms start to lose themselves and what makes them happy. It’s apparent that if you want to be the best mom you can be, you must first be your best self. The simple act of doing something you choose creates a huge impact. Whether it’s working out, reading a book or just enjoying a kid-free cup of coffee in the morning, carving out some time for a regular self-care ritual provides a necessary reenergizer. In the end, taking care of yourself in this way will yield great rewards for your child too. Whenever I’m helping out a mom friend at a park or in a crowded play area, my first instinct is to keep their kid at arm’s length so I can prevent a sudden fall. I’ve learned, though, that parents can’t keep their kid in a bubble. Kids are going to fall and get hurt sometimes. It’s incredible how resilient they can be, and taking a tumble is a learning experience, after all. How does a kid learn not to jump off the swing if they never get hurt? Of course, there is a level of safety all parents must maintain, but it’s healthy to allow a kid to experience life without a net sometimes. I often see moms compare their friend’s kids to their own. If children are around the same age, parents think they should be doing the same things — crawling, talking, doing long division — whatever the case may be. But each kid is different and has his or her own set of strengths. It’s important to keep this in mind as a child advances. It can take longer for one kid to achieve a milestone moment, and that’s OK. Moms have shown me that a delay in progression doesn’t mean you’re doing anything wrong. After all, your kid’s progress is not a competition, and your kid is perfect just the way they are. I welcome my mom friends and their little ones at my house. I love hosting guests. But, boy, kids are messy. They spill milk. They scatter their Legos all over the place. They leave behind cereal in the couch and scratches on the floor, and the TV remote is nowhere to be found. But they also leave behind laughter and love. I’m amused to later discover lost Legos under the couch or suddenly remember how the remote quickly got shoved out of sight. In the end, a clean house does not equal a happy home, a happy family does. Some kids like sports, while others prefer books. Some kids like crafts, and others want to build towers. It’s truly amazing to see a child’s preference for things so early in the life, and I’ve learned that it is crucial to celebrate their natural interests. While parents hope they can connect with children through shared hobbies, it’s more essential that the child find enjoyment in the activity. 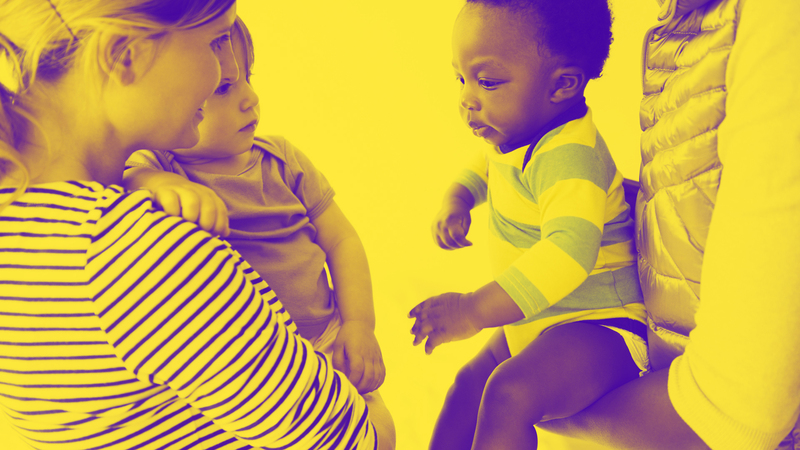 Preferences change, and parents might even discover a new interest. To all the mothers out there: You may not know it, but you are teaching us non-moms a whole lot about parenting. We embrace the interrupted phone conversations while you navigate motherhood. We appreciate the experience of witnessing your kid’s meltdown. Not only are you teaching your child about life, you’re also teaching us non-moms about what we can expect for our life as a future parent.